My friend Carrie had her baby! Welcome to the world, Isabel Ruth (aka Lizzie)! 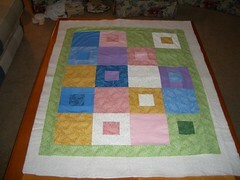 I made Carrie a really cute baby quilt - I'm so glad she liked it!